This is an excerpt from an article originally published in The Louisiana Weekly. Ben Is Back — The plague of drug addiction hits the tony suburbs and writer/director Peter Hedges takes his audience to the front door of a home that is bearing the brunt. Julia Roberts soars as the distraught mom trying to save the life of a duplicitous son, expertly played by Lucas Hedges. Courtney B. Vance co-stars in this compelling and cautionary family/drama. Black Panther — The late Stan Lee left behind a key to the future. That key was “Black Panther,” as envisioned by the intuitive director/writer Ryan Coogler. The African nation of Wakanda became the world’s #1 tourist destination ($1.3B at the box office). It’s supermen (Chadwick Boseman, Michael B. Jordan, Daniel Kaluuya) and superwomen (Lupita Nyong’o, Danai Gurira, Letitia Wright) were artfully displayed (cinematographer Rachel Morrison) as they embodied Black power and pride. Blindspotting — Of all the films that tackled racism and the PSTD a Black man experiences as a result, this grassroots indie captured that feeling the best. Set in gentrifying Oakland, California, the ambitious script by lead actors Daveed Diggs and Rafael Casal chronicles a time and place when inner-city Black neighborhoods are disappearing and the inhabitants are stressed — every day. Wonderful direction by Carlos López Estrada. 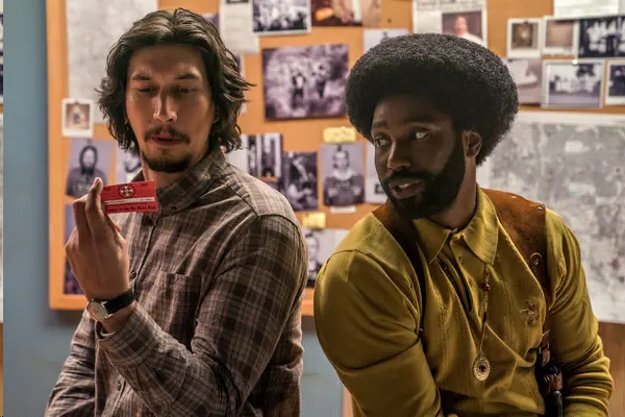 BlacKkKlansman — Leave it to filmmaker Spike Lee to find the most hard-to-believe but true story about a Black cop (John David Washington) who infiltrates the KKK with the aid of a Jewish police officer (Adam Driver). The undercover brother even hoodwinks David Duke. A nervy and informative look at the dimwits who joined the Klan and the brave policemen who thwarted their moves. Considering the times we live in, the 1970s subject matter has a contemporary appeal. Crazy Rich Asians — This jolly film is the first Asian-American movie to get a major release in 25 years. A stellar cast – Constance Wu, Henry Golding, Michelle Yeoh and Awkwafina – turn a rags-to-riches love story into the best romantic comedy of 2018. Director Jon M. Chu, with writers Peter Chiarelli and Adele Lim, turn a golden opportunity into solid gold entertainment. The Favourite — The stodgy English period genre gets whacked by this demented take on an 18th century triad of deceitful women: Queen Anne (Olivia Colman), Lady Sarah (Rachel Weisz) and a very ambitious and cunning palace interloper Abigail (Emma Stone). Eccentric director Yorgos Lanthimos finally gets a project that can withstand his demented style of direction. Evocative cinematography (Robbie Ryan) and production design (Fiona Crombie) paint an astonishing portrait of palace intrigue. Green Book — An unlikely story, based on true events, features the best acting duo of the year. 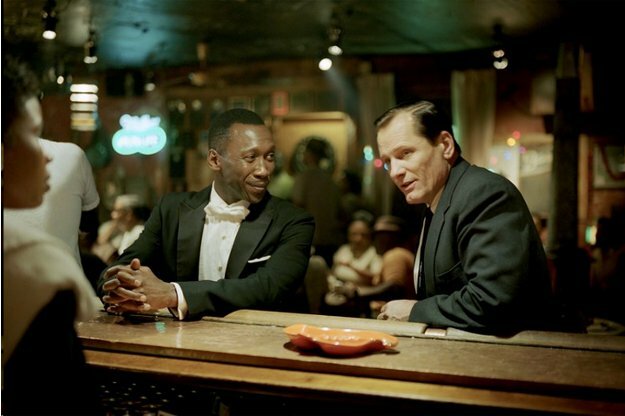 The brilliant scholarly actor Mahershala Ali plays a concert pianist who is driven around the South, in 1962, by a burly Italian chauffeur/bodyguard played hysterically by Viggo Mortensen. The most unlikely director in the world, Peter Farrelly (Dumb and Dumber), tells the tale with a nod and a wink and peppers it with social and racial themes, real drama and historical facts. An organic crowd pleaser. Private Life — Every 10 years, writer-director Tamara Jenkins makes a feature film. It’s worth the wait. A neurotic couple, nearing middle age, tries to have a child. Previously, they were so caught up in their lives that by the time they decided to have offspring, they had to scramble and hope IVF would pay off. Tough challenge for them. Great laughs for the audience. Kathryn Hahn plays the fretful wife with anxious humor and Paul Giamatti is the put-upon husband. A sweet, delicious adult comedy. Dwight Brown is the NNPA News Wire Film Critic.